Sample making charge will be refundable according to Order quantity Key chain vners brand | gift | price of old currencies of the. Badges or Pins we made is with metal, and they are commonly attached to clothing, bags, footwear, vehicles, home electrical equipment, etc. | jack Daniels | metal flowers | cross religious | modern sculpture | Jerusalem cross | weapon | statue | ala din | ornamental knives | metal craft Coming soon. 5. : 1. We are specializing in metal crafts and gifts. 2. Our products accross a wide range, like dogtags,keyrings, business card holders, bottle openers, corporate gifts, luggage tag, bag holder, bookmark, and so on. contact us 6. Welcome to contact us: Company Name : Dongguan Longyi Metal Product Co., Ltd.
(7) On time delivery Technique Die-casting, engraved, painted, silk screen, offset printing, etc. Plating Gold, silver, nickel, brass, copper, antique plating, misty plating, daul plating, etc. All size is Logo Soft enamel, laser engraving, offset printing, etc. dog tag with enamel fill is just like fine jewelry, are highly regarded because of their unique appearance and modern appeal. (3) Nickel and lead free, low cadmium, comply with the Euro test requirement. 3) Is the mold charge refundable9 Yes, the mold charge is refundable if your quantity is over 5000pcs or 10000pcs based on different process. We can supply all kinds process dog tag, stamping, casting and different color process such as enamel, printing and laser based on request. Name plate is one of our main products, we have more than 10 years experience on metal crafts. (8) Strict management system to supply you high quality products and on time delivery. 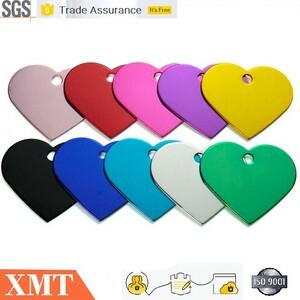 Alibaba.com offers 315 dogtag blank products. About 49% of these are metal crafts. A wide variety of dogtag blank options are available to you, such as free samples. 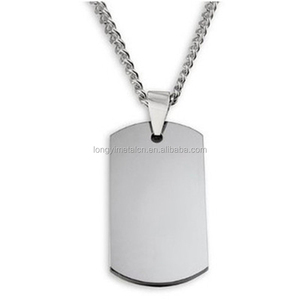 There are 319 dogtag blank suppliers, mainly located in Asia. The top supplying countries are China (Mainland), Hong Kong, and Taiwan, which supply 98%, 1%, and 1% of dogtag blank respectively. Dogtag blank products are most popular in North America, Western Europe, and South America.